The holidays are approaching, and I’m sure you’d like to buy some presents for your friends, family and colleagues. 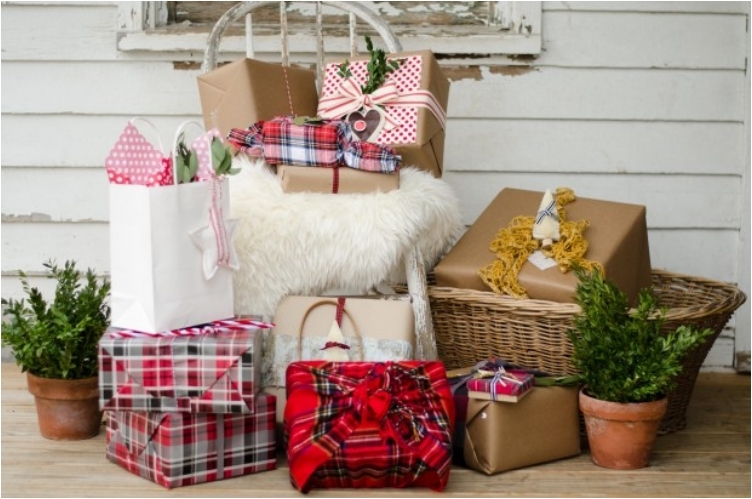 In most cases, the shop where you buy the gift will offer to wrap it for you. But in that case, your gift will be no different than the others. I’m a strong believer in the idea that the wrapping is just as important as the gift. So, with that being said, I always like custom wrapping. I love it when people put some effort into wrapping the gift. 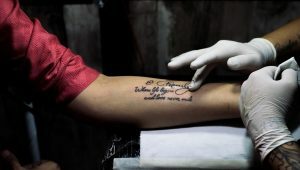 It shows that you care, and that you actually want to give that gift. 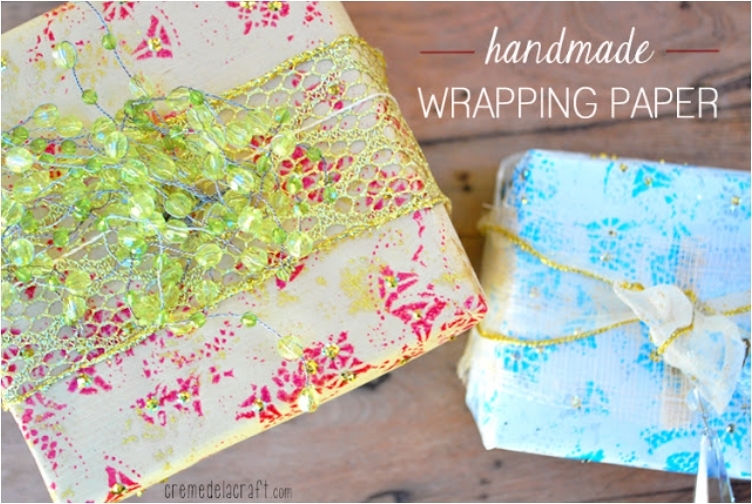 And because of that, I’m happy to share some gift wrapping ideas with you. 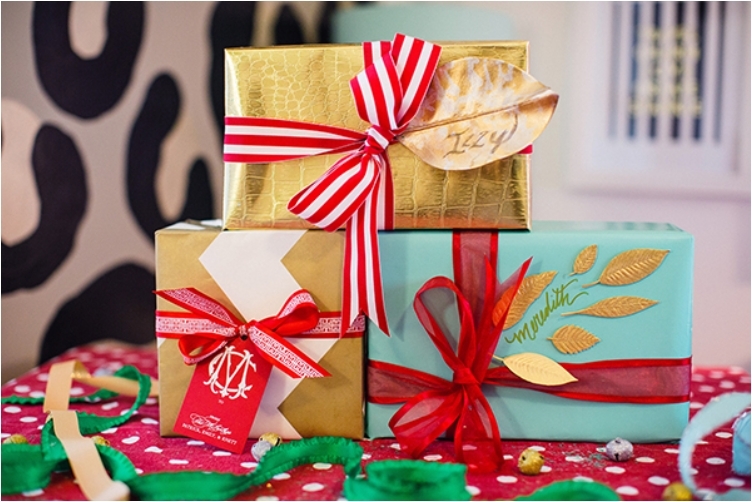 Make the perfect gift even better with the perfect wrapping. 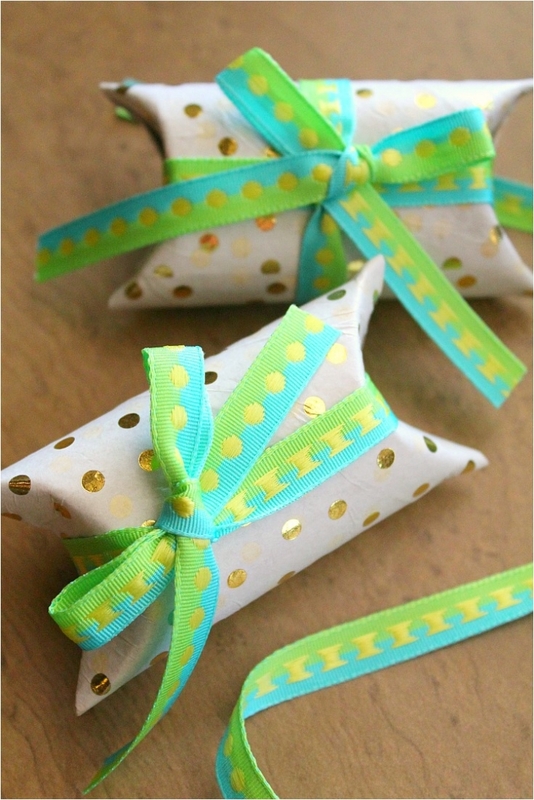 Washi tape is arguably the easiest and simplest way to wrap your gifts. 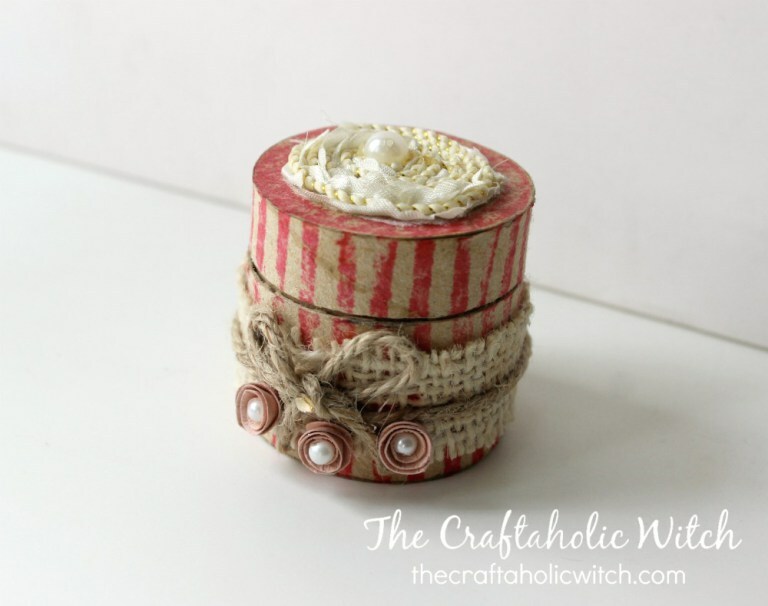 But don’t think that just because it’s easy and simple, washi tape isn’t beautiful. Quite the contrary. 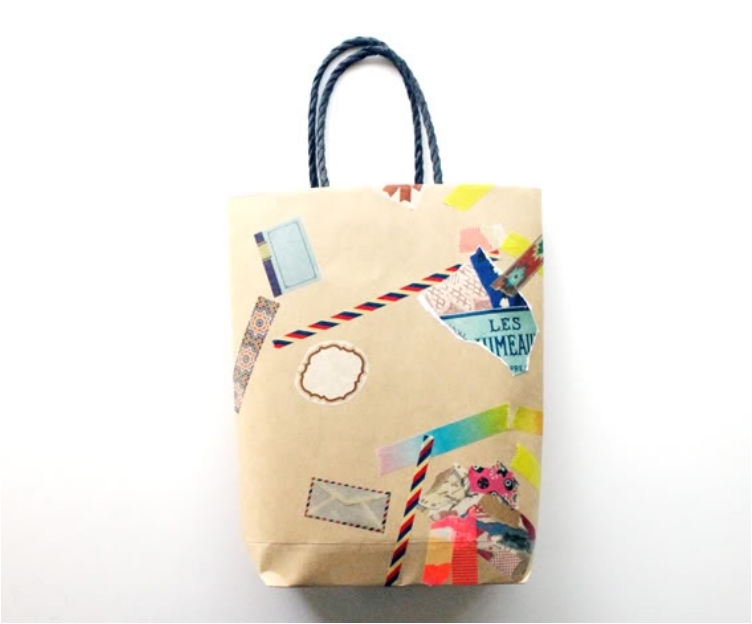 Washi tape can take your gift to the next level. 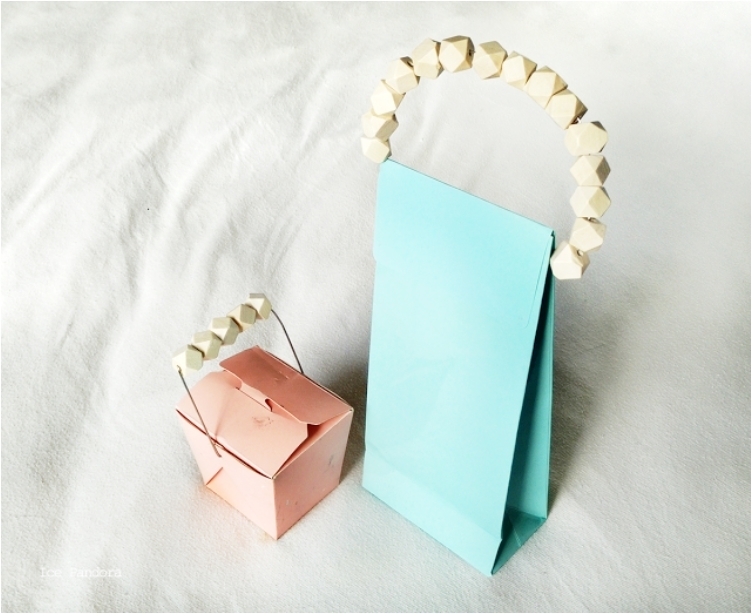 If your gift can fit in a mailing tube, this is a perfect idea. 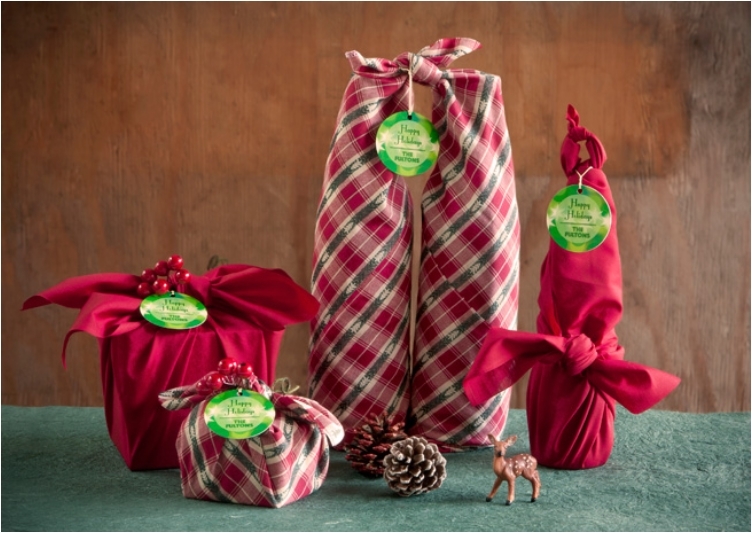 Mailing tubes make your gifts more elegant, sophisticated, and formal. Let’s remember that graduation diplomas are given in mailing tubes. So, be sophisticated! 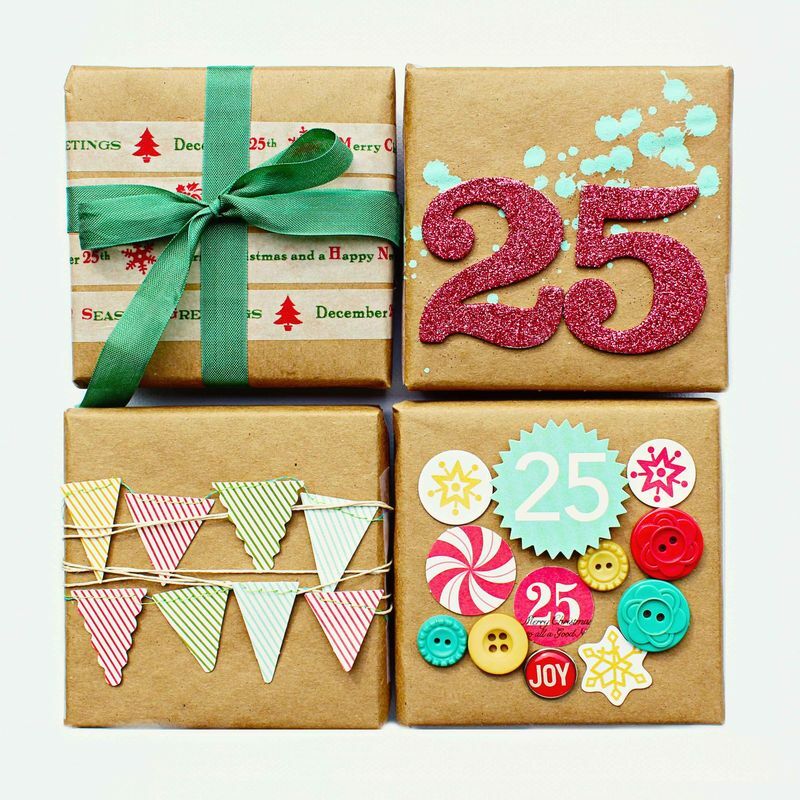 No matter how hard you try, you just can’t avoid ribbons when it comes to gift wrapping. But I like to make unique ribbons (the simple and plain ribbon is so boring). 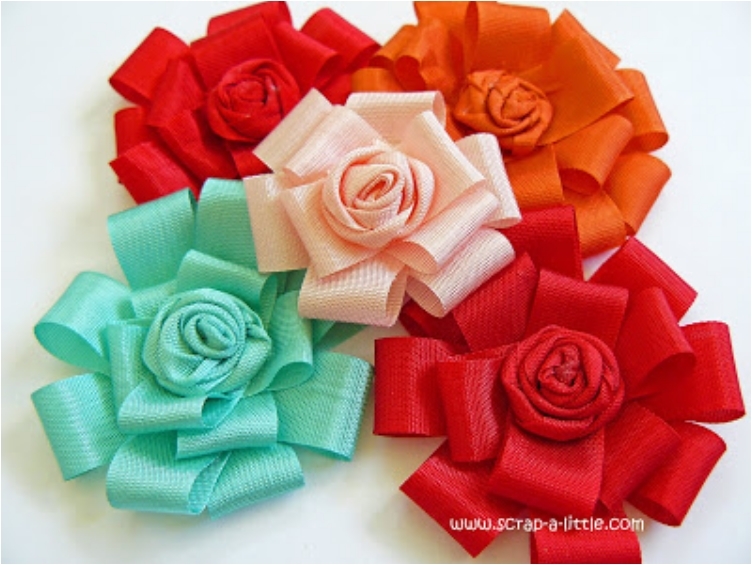 So I’m going to the next level—the rose ribbon. 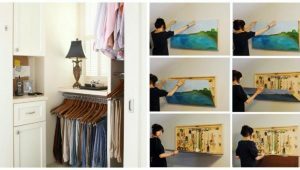 I’d recommend this idea for someone who is funky and loves crazy ideas. Remember, there are people who want a more serious tone to their gifts. 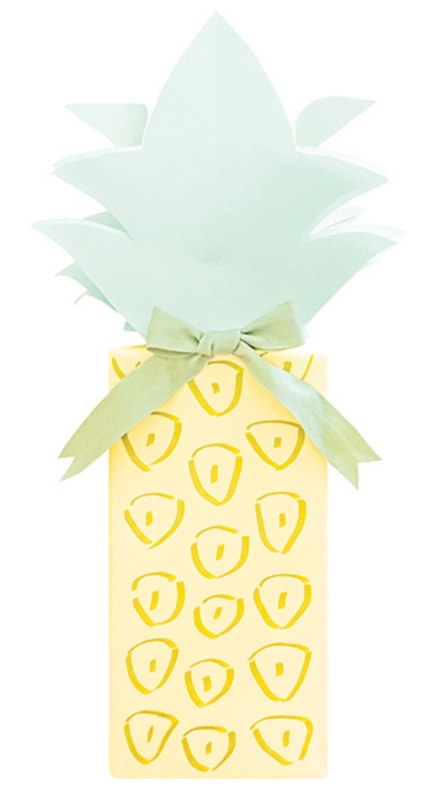 But for those of us who like to get funky, go pineapple. 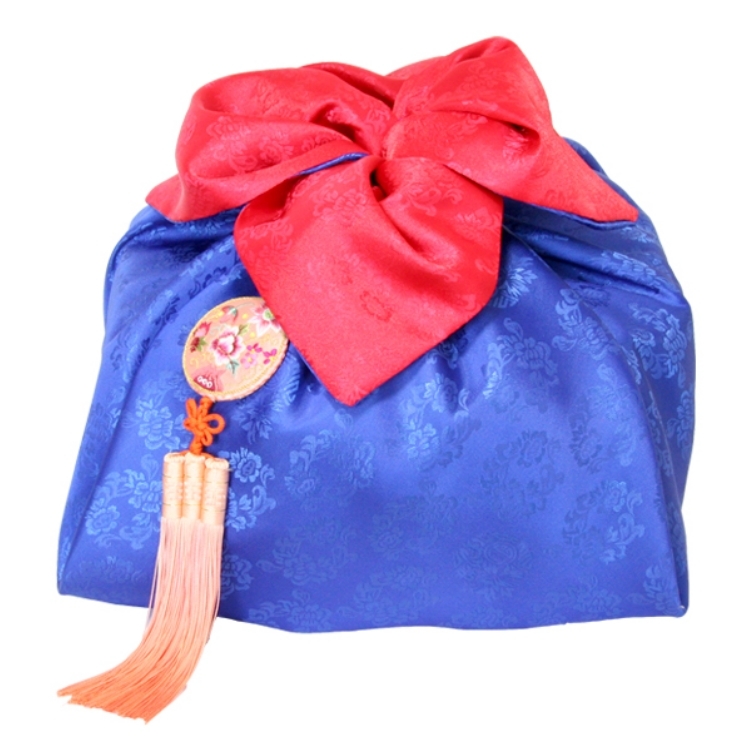 I love Furoshiki wrapping because of two things. First of all, the gift is colorful, and second, vibrant. You just have to love the colors and patterns. It looks so Christmas-y. When you think of Christmas and holidays, gingerbread is usually one of the first things that come to mind. You simply can’t have Christmas without some gingerbread. 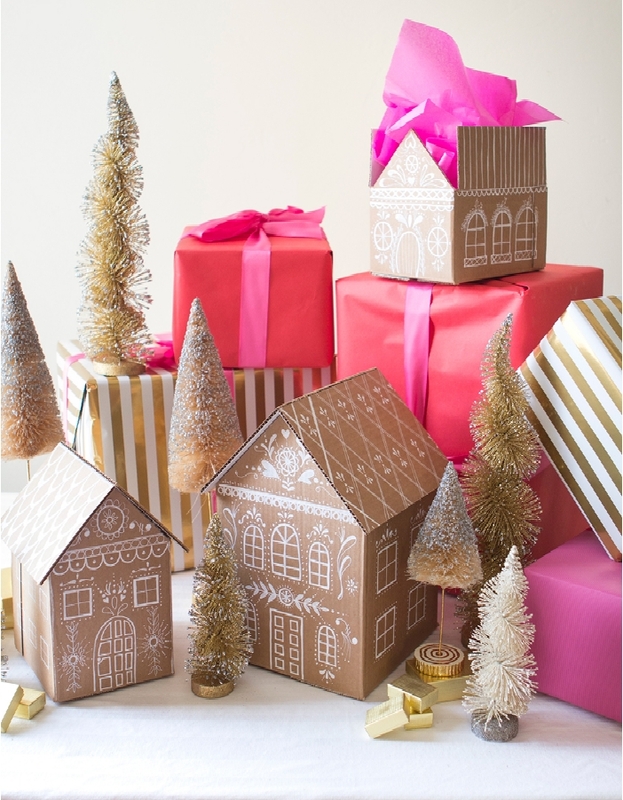 And you can’t have Christmas gifts without some gingerbread wrapping. When you want to go simple and elegant, brown paper comes in handy. 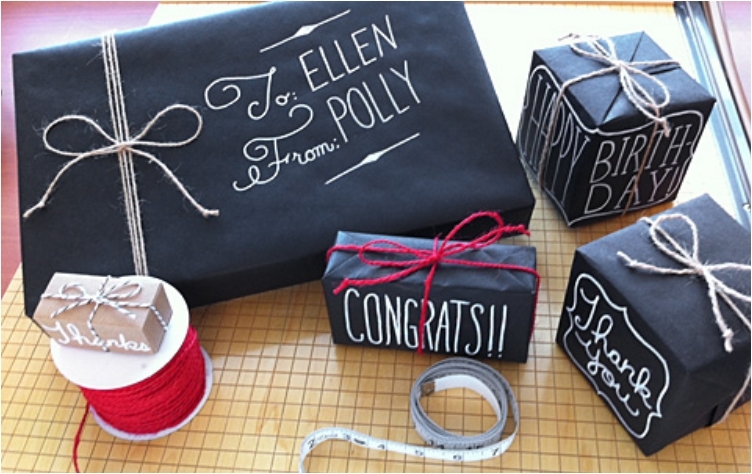 This is a wrapping idea most suited for colleagues and friends. People you want to give a gift to, but you are just not close enough to experiment with different styles. It looks so simple, yet so beautiful, at the same time. There’s just some magic in wooden beads—I don’t know what it is, but it makes every gift look even more special. Wine is one of those classic gifts when you have no idea what to buy. 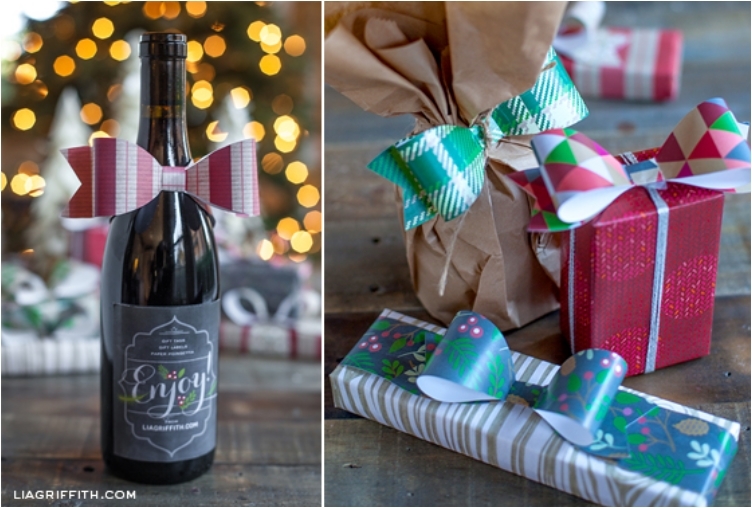 But in this case, the wine is way more than classic and common with its fantastic wrapping. As usual, there are certain gifts that look simple at first glance, but they are more than that. 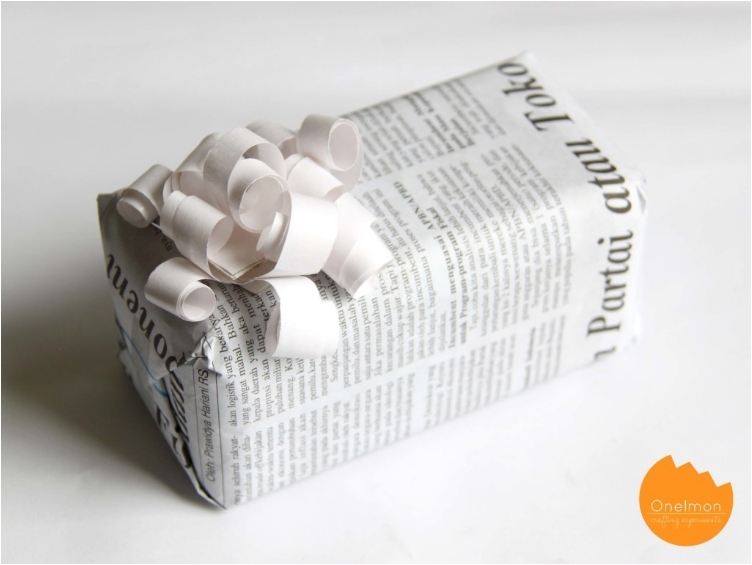 Yes, all you need is a piece of newspaper, but the ribbon makes this gift more than unique. 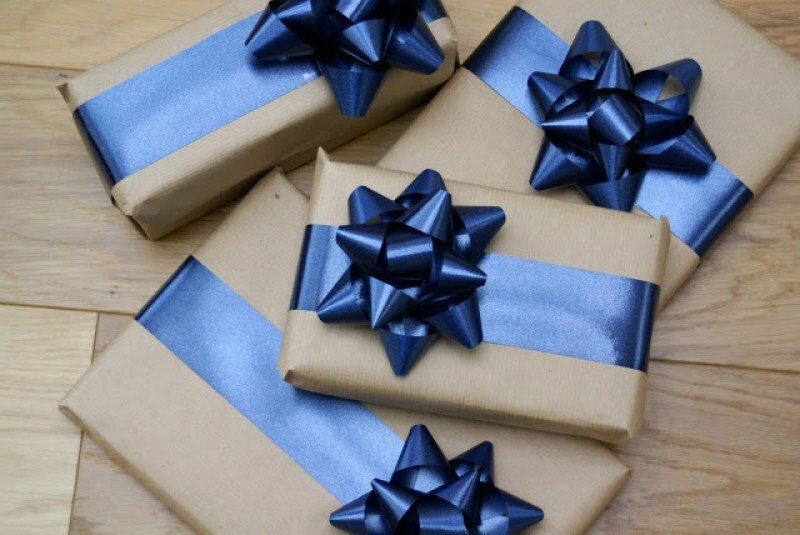 I recommend this wrapping idea for your family’s gifts. 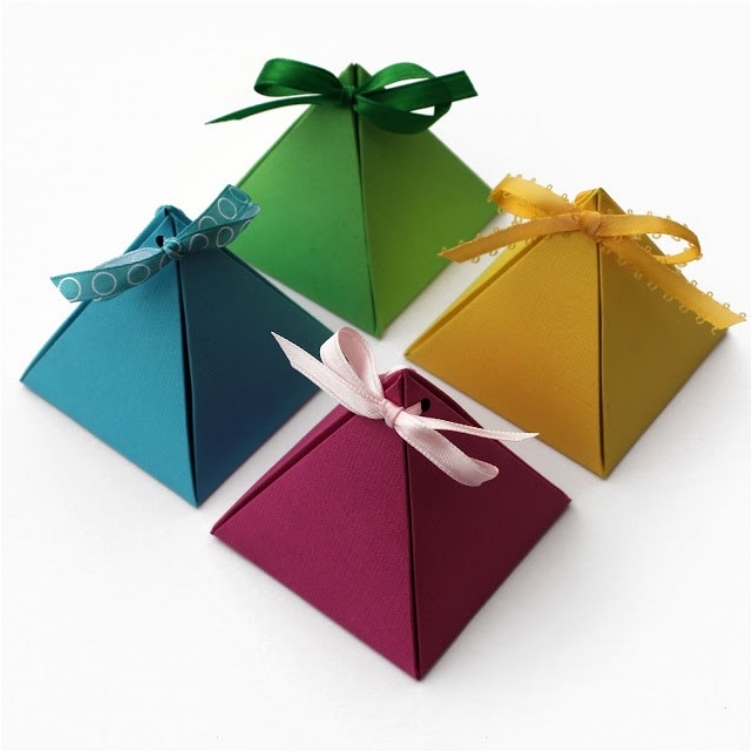 For example, if you need to get gifts for all the children in the family, just wrap them in pyramid boxes. They will all get the same wrapping, and you’ll be loved. I am one of those girls who loves flowers. I can’t help it—I just adore them. 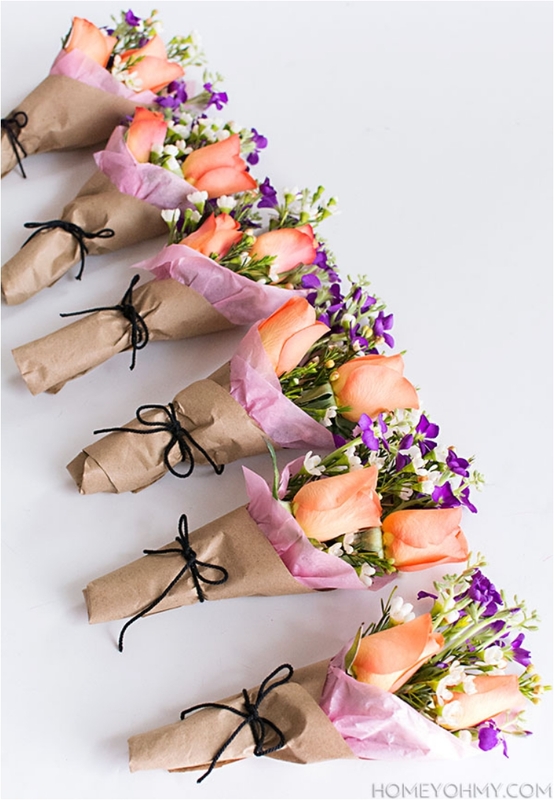 So it comes as no surprise that I would very much appreciate flowers in any wrapping—the best part comes when you open the flower bouquet! What I love about this gift wrapping idea is that the paper seam isn’t visible. And of course, the alternative take on the classic ribbon. Those are two huge pluses when it comes to wrapping gifts. Santa and Christmas are two things that go together. We’re all expecting Santa to bring us some presents. So, why not go a step further and add a personal Santa touch to the gift? After all, it was Santa who brought the gift. I know toilet paper might not be the ideal wrapping material. But don’t worry, there’s no toilet paper used here. 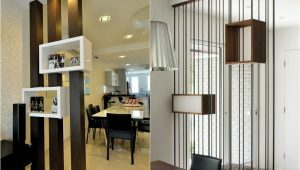 And the best part is that you’ll use recycled materials. 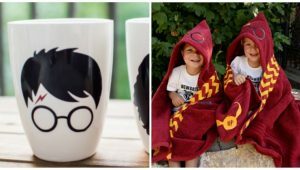 Every simple gift can be customized to fit the need. 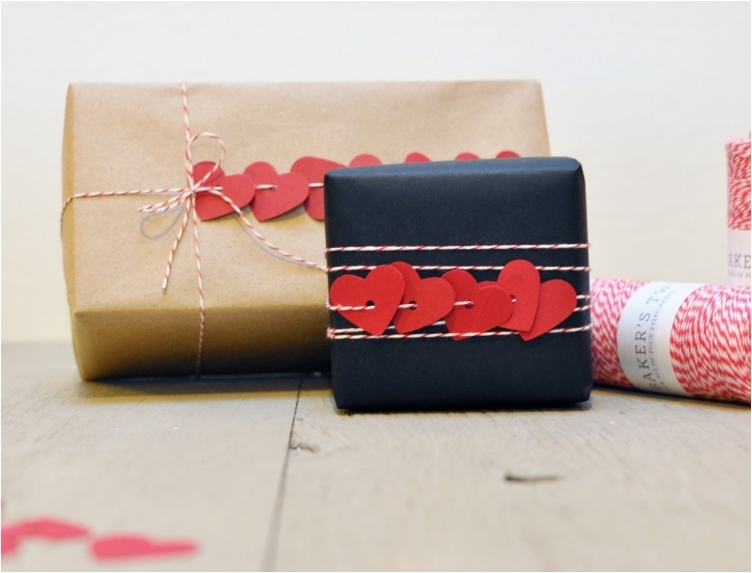 Just think of the simplest gift wrapping idea, and add one heart. 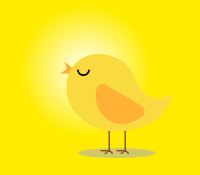 Now that looks cute and adorable, doesn’t it? As you can see, sometimes you don’t have to go over the top. 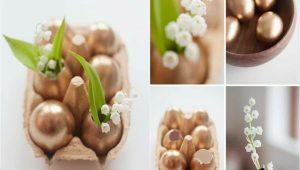 Just a small touch is more than enough to transform your gift from boring to unique. 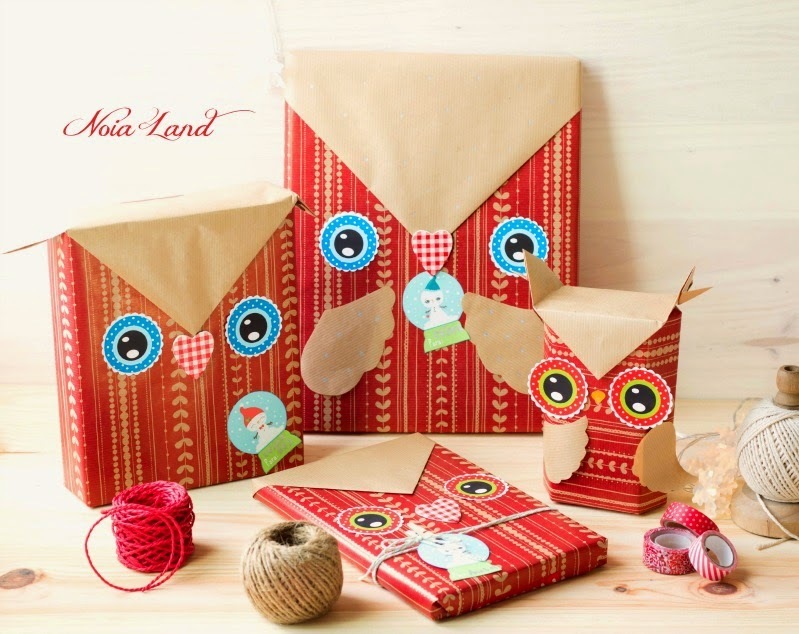 In a similar fashion, you can add any Christmas-related sticker or piece of paper on your simple gift. The sky is the limit here. You want numbers? Go numbers! You want snow? Go snow! As I said at the beginning, I hate the classic ribbon. It’s just boring to use. So I always look for new ways to top my gifts with a ribbon, and paper bows are one of the ways I’ve found that work perfectly. Remember, recycling paper helps our environment. And with that thought in mind, you want to help, right? The best part here is that you can personalize the gift bag any way you want. I love it when I have flexibility and I can be versatile. When you need to be more sophisticated, elegant and formal, glitter actually helps. I know you mostly associate glitter with children, but glitter is actually helpful in gift wrapping. 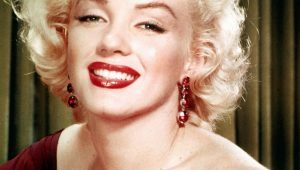 Of course, that depends on how you use the glitter; if you add glitter in five different colors, it will look childish. This is another tweak on the classic ribbon. 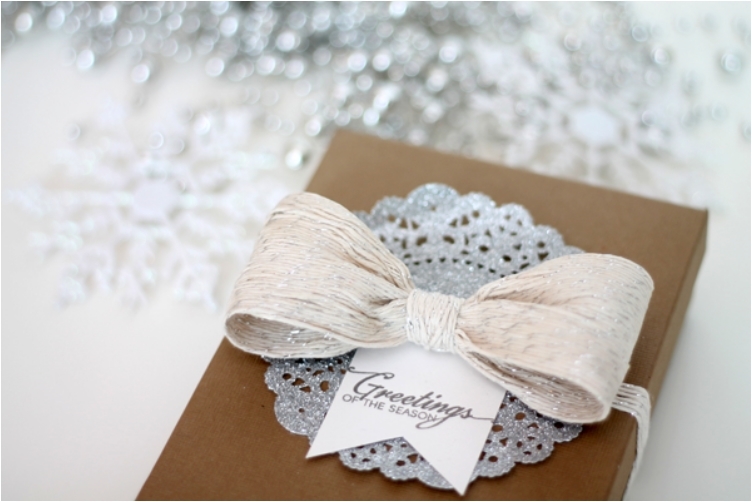 In this case, the classic ribbon is enriched with some decorative balls. And the result is absolutely amazing. 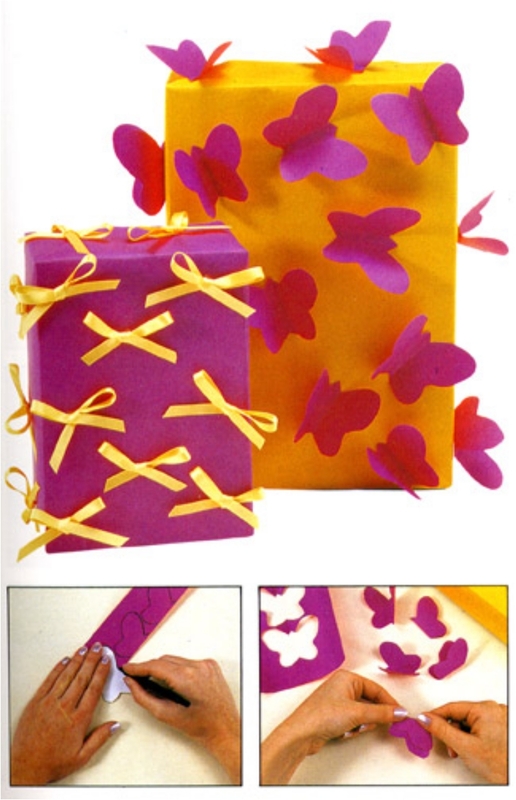 Another gift wrapping idea you can use for small children. They’ll absolutely love it. And when you think about it, adults love owls as well. If your friends are into some funky gifts, go for it. For those of you who don’t know, Bojagi is traditional Korean wrapping cloth. I love Bojagi because the fabric adds texture and elegance to the gift, and there are so many different patterns and texture you can choose from. As you can see, the ribbon is actually a pretty sleek and sophisticated option. And I love it like that (as long as you don’t use the classic ribbon). I know it looks complicated, but in reality, it’s very simple to make this bow. 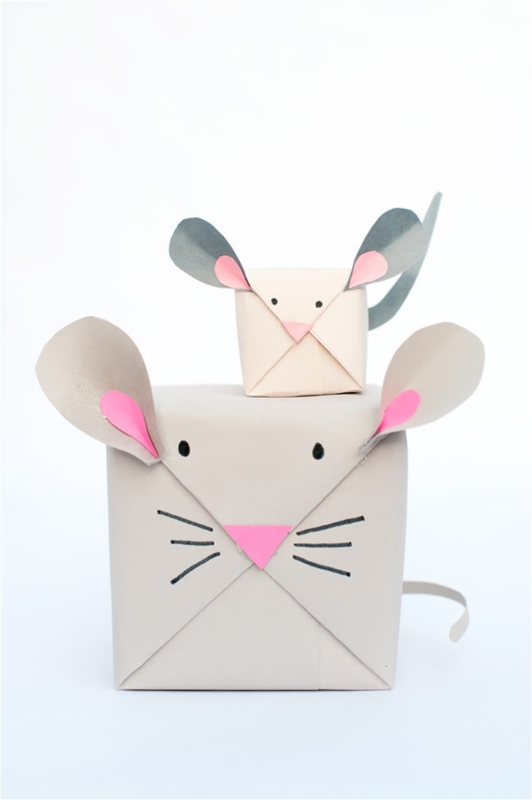 I’ve never understood the link between mice and Christmas, but this gift wrap looks very cool. Funny, unique, and definitely one that will blow your mind. Sometimes you want to keep things simple. 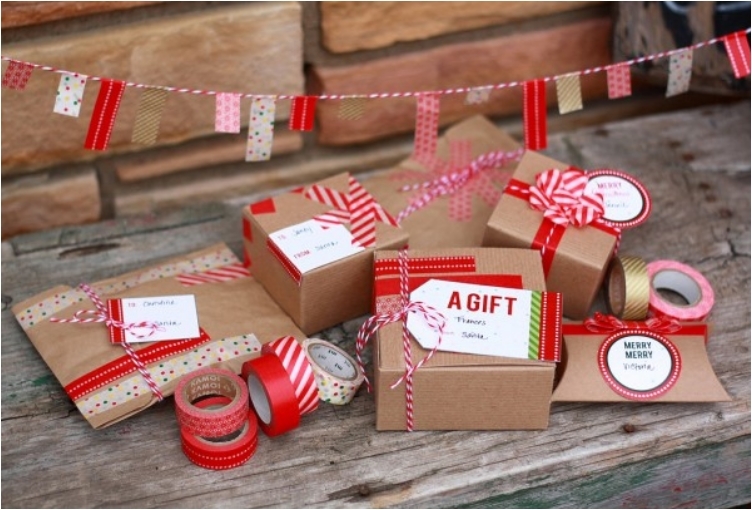 As in, you don’t want to spend too much time or money on your gift wrapping. And in those cases, wrapping paper comes in handy. You can buy different patterns, colors, and fabrics in any store. 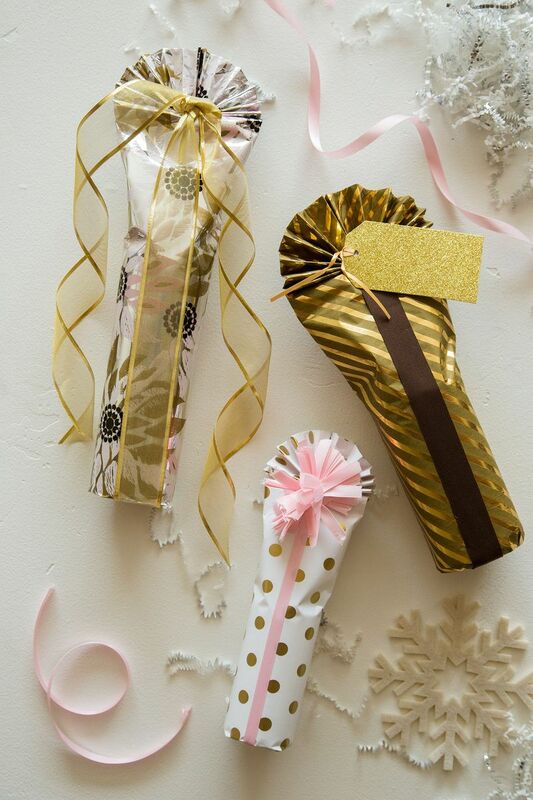 Another wine wrapping idea. I’d suggest this gift for a formal occasion. 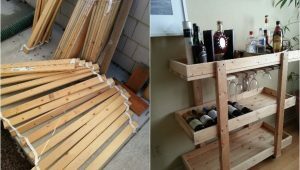 Or for your partner, as long as he/she loves wine. You’ll definitely hit that sweet spot in that case! 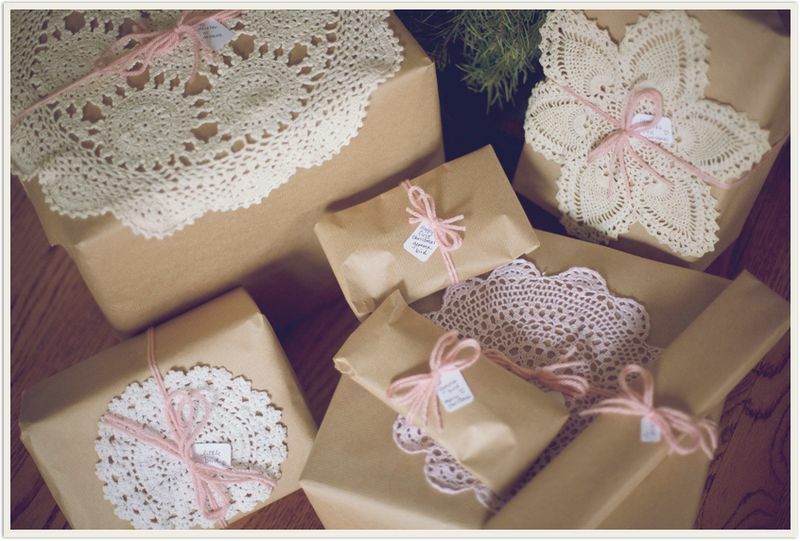 Any time you can use recycled materials for wrapping gifts, or for any other DIY project in your home, I say go for it. It’s just a shame how much we disregard the environment. One way we can help is by recycling as much as possible. When you want to be simple, yet unique, you can go with Japanese pleats. Your gift will be both different and memorable. You just can’t escape the chalkboard. Anytime there is a DIY project, the chalkboard pops out from somewhere. Don’t get me wrong—I love the chalkboard. And I love it how you can use it to personalize your gifts. 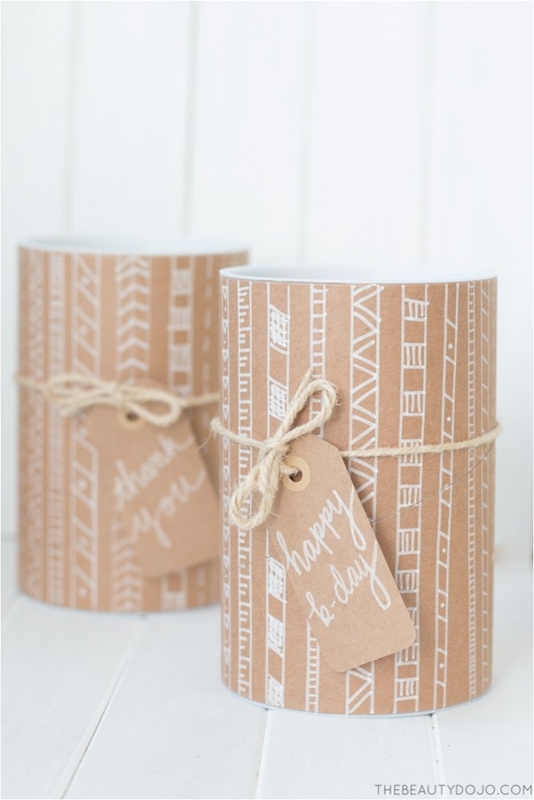 All you need for this gift wrap idea is gold foil. 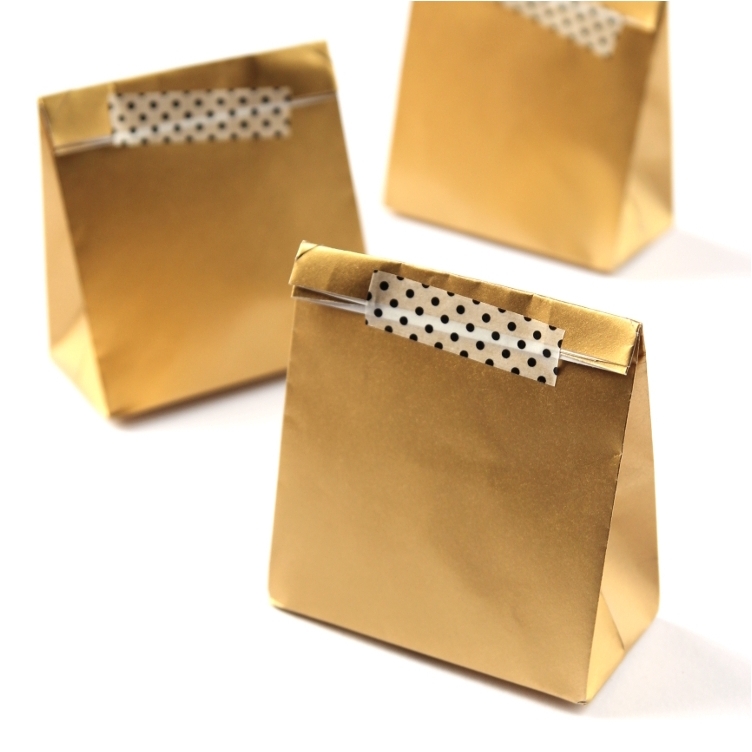 There are different ways to use gold foil for wrapping gifts, and I’ll give you three of them. 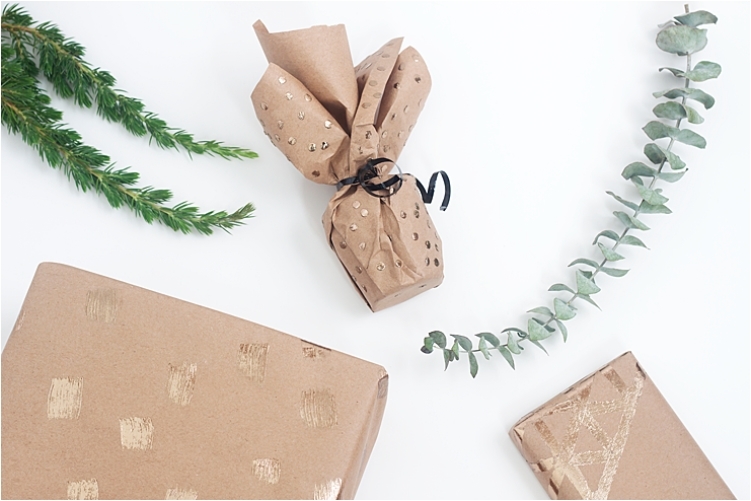 The best time to use gold foil is when you purchase a gift for someone who isn’t a close friend, but is still important to you (e.g., the parents of your partner). We go back to recycling here. I know it looks simple, but you’ll get bonus points for thinking outside the box. 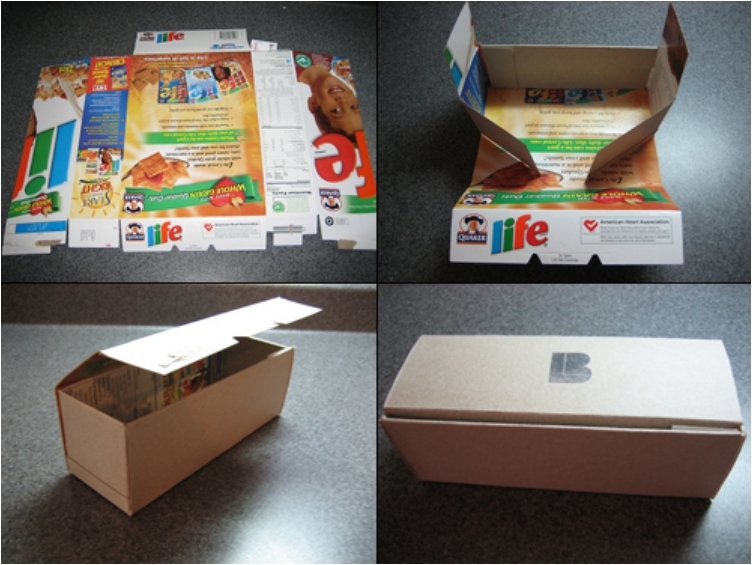 Even though in this case, you are literally thinking inside the box. Just kidding. 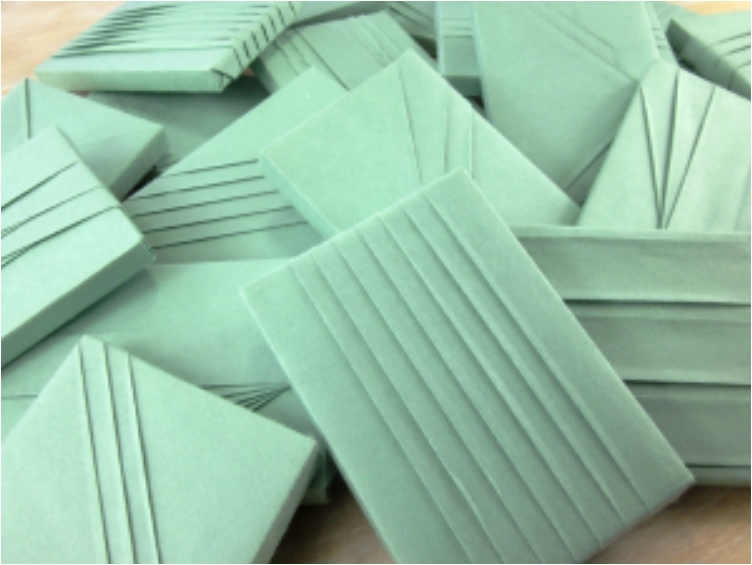 Envelopes are another item you can use for wrapping gifts. And again, you’re recycling, so that’s a plus. Just remember to top the envelopes with ribbon, a bow, or anything else. Otherwise, they’ll be way too boring. I love teepees—they’re so interesting and unique. 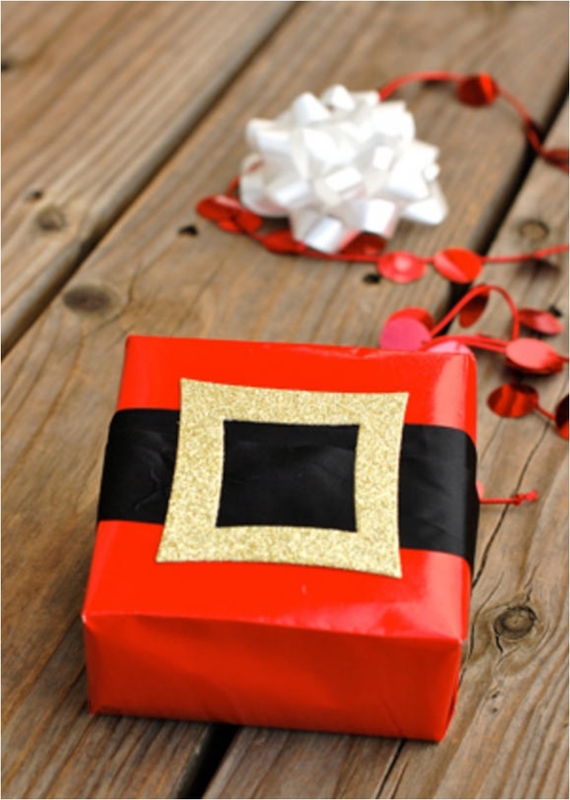 You can use this wrapping idea for anyone you can think of. 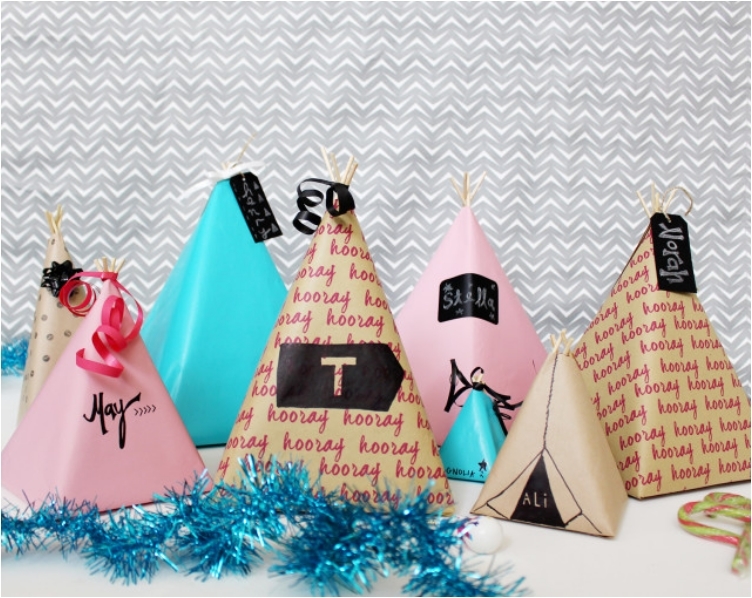 The best part is that the teepees are versatile and you can personalize them. 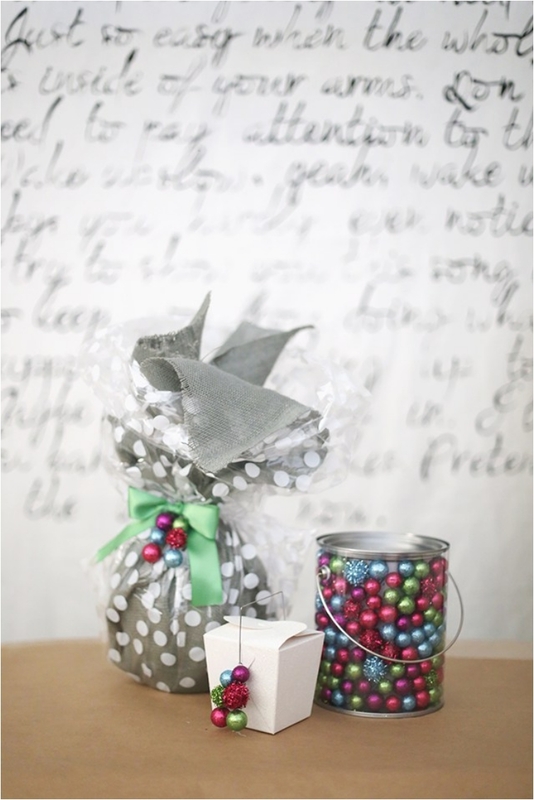 Depending on the gift recipient, you can go for a more serious tone or a more funky tone. 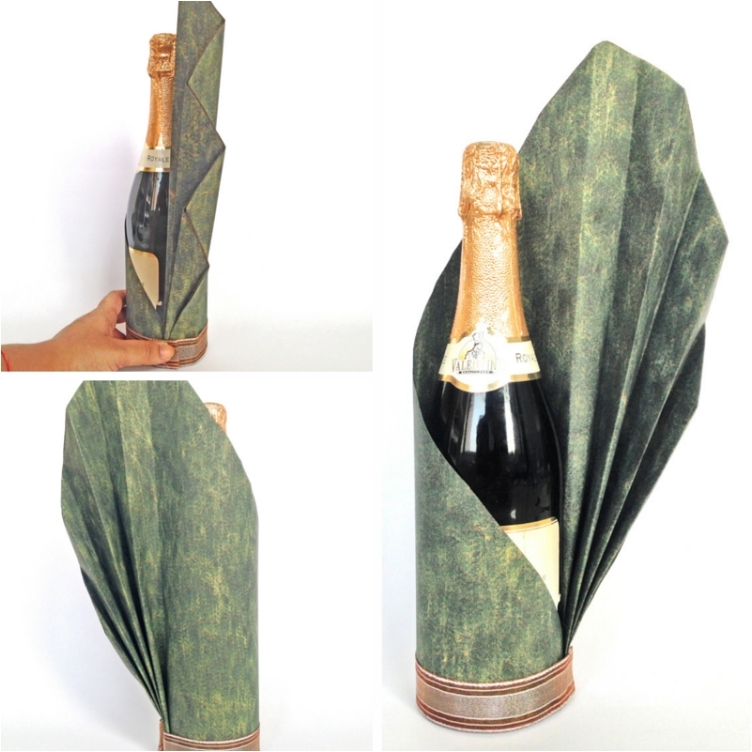 We close the list with some textile wrapping. There’s a simple reason why people use textile wrapping: you can’t see what’s inside. And some people like to keep it mysterious. That’s all for now, but if you have any other ideas, feel free to share with us!